This comforter set has a classic, timeless look. It features a floral pattern on a deep red background that will instantly update the look of your room. 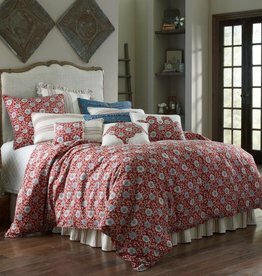 The set includes comforter, ruffled bed skirt and shams.